APR Tuned Exhaust - CatBack Exhaust - Dezod Motorsports Inc - Home of the automotive performance enthusiast since 2002. APR’s CatBack Exhaust is a stainless steel, mandrel bent system. Our exhaust begins after the factory catalytic converter with a with a stainless steel center pipe sized to make the most power for your vehicle. 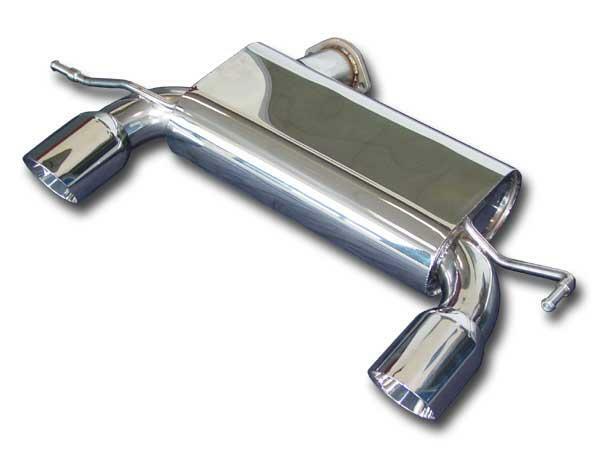 This piping continues back to the rear muffler that has polished dual wall tips. With TIG welding, fully stainless construction, and CNC’ed hangers, you will not find a higher quality system on the market.